Cheap Weekend Fun in Boston for November 22-23, 2014! There’s a lot of fun things to do this weekend in Boston without spending too much money! 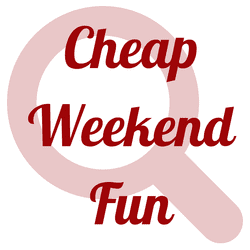 As always, please let me know in the comments below if I missed any fun and cheap events in and around Boston! Faneuil Hall Tree Lighting Spectacular: Saturday, November 22, 2014 from 8-9pm. Enjoy the first tree lighting of the holiday season in Boston with holiday events and the start of Blink! Blink begins: November 22, 2014 to January 4, 2014 at Faneuil Hall Marketplace. Enjoy a light and sound extravaganza with music of the Holiday Pops. VIP Shopping Party: Saturday, November 22, 2014 from 9am to 11am at Microsoft Stores. Receive exclusive deals at Microsoft, a free breakfast and more on Saturday morning at local Microsoft stores with LivingSocial RSVP!